A short story on how I started drawing cars. In 2014, Kirsten Williamson went to a James Bond exhibition in London, which featured all of the original Bond cars. Out of all of the cars, the 1964 Aston Martin DB5 was her favourite, so much that she wanted to draw a hyper-realistic life-sized version to “park” in her living room. The idea progressed to wanting to draw a car owned by a real person with a real story. Her personal style is influenced by the films, music and culture of the 1960’s and 1970’s. With more style icons than any other time period; Steve McQueen, Le Mans, the drivers of Formula 1 and the Rat Pack are all solid favourites. 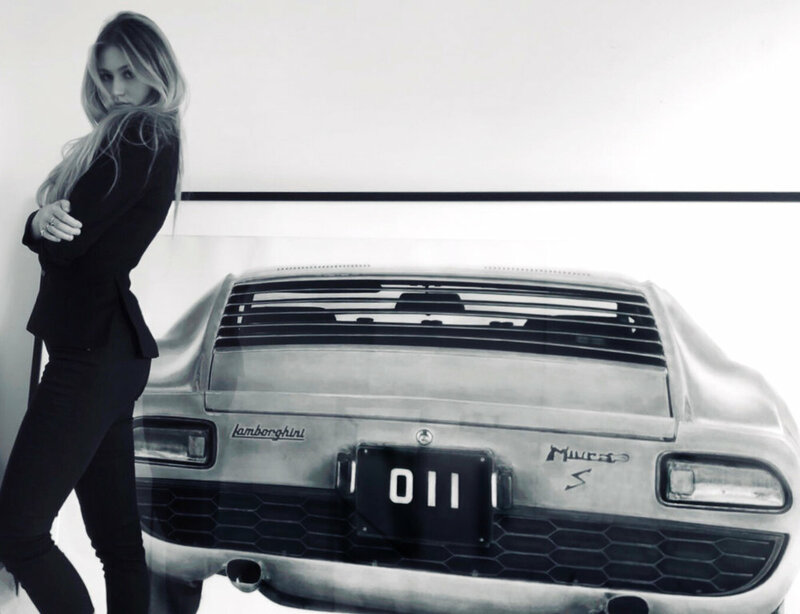 And so, Frank Sinatra’s 1969 Lamborghini Miura became the inspiration for her first piece. It took 5 months of pencils, paper and lots of coffee - drawing full time to achieve a level of detail that she was happy with. Kirsten’s approach to drawing is clean and mechanical, as if the car is being viewed in a white-walled museum space to ensure that nothing interferes with the vision of the car. She aspires to show that a car is as individual as its owner: the unique details, scratches and markings are what makes a particular car belong to someone. To her, that’s where the story is and what she immortalises on paper – so that it can be enjoyed in any space or place as large as life. A 1:1 drawing can take up to 5 months, however she also produces work at smaller scales. Have a beautiful car with a great story or want to get in touch? Thank you! Will be in touch shortly!